When truckers are forced to drive long hours in order to meet deadlines and get to certain destinations in time, it can result in fatigue. Operator fatigue and sleepiness are conditions that can cause negligent behavior, therefore resulting in accidents and causing harm to other drivers on the road. The average commercial truck driver travels 125,000 miles throughout U.S. highways annually, and that is on the lower end of the average. Trucking profits totaled $610 billion in just one recent year and earnings are expected to almost double by 2015. It can be simple to see how money can influence truck drivers to travel further for more hours, with fewer breaks, to increase their own personal earnings. Were you or a loved one involved in a truck accident because the driver was sleep deprived? Our accident lawyers can help! 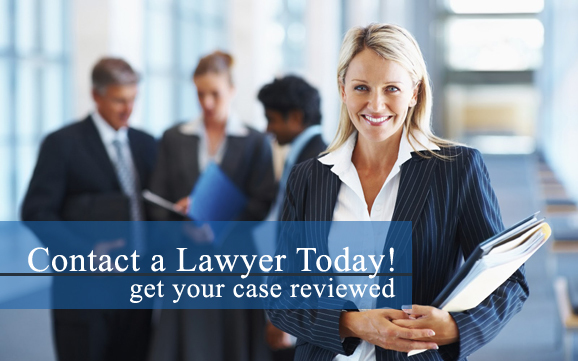 Contact our personal injury attorneys today. Sleep deprivation, a common result from driving too many hours, impairs an individual's ability to perform various tasks, especially driving a large vehicle such as a truck. Usually, a trucker’s sleepiness is caused by insufficient daily sleep, as opposed to a complete absence of sleep. When a trucker has to drive long hours, it can create a situation of continuous sleep deprivation by reducing the trucker’s daily sleep. When truckers become exhausted from overtime work hours, they substantially increase the risk of accidents that result in fatalities or severe injuries. Yet despite this dangerous threat to public safety, legislation is often presented to Congress that asks for longer hours of service for the trucking industry. Recently, the Federal Motor Carrier Safety Administration (FMCSA) implemented new hours of service regulations to combat issues involving truck driver fatigue. While these regulations have helped decrease the amount of crashes, the U.S. National Transportation Safety Board still places responsibility on drowsy driving as a likely causes in 20-40% of all truck accidents. Did a trucker’s lack of adequate sleep cause you or loved one’s auto accident? Our truck accident lawyers can help! Contact our personal injury attorneys for more information regarding your potential case.